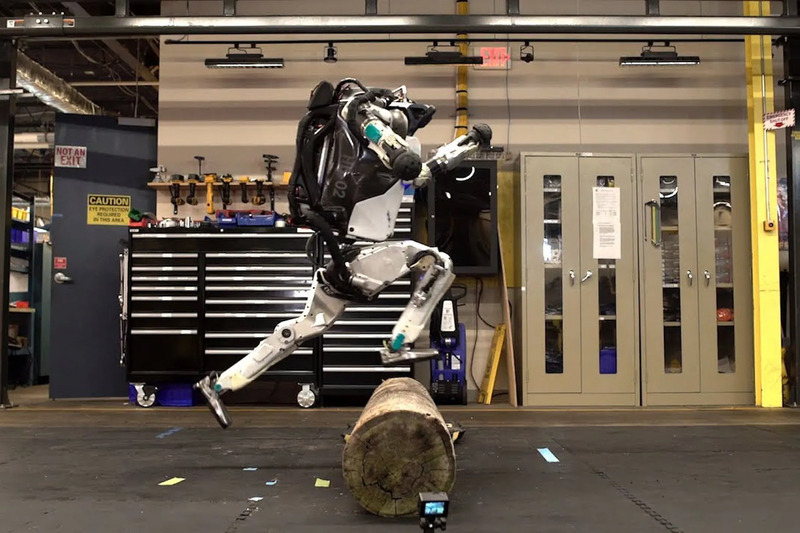 Boston Dynamics’ Atlas humanoid robot does parkour in the SoftBank-owned company’s latest video. The new control software uses the whole body, including legs, arms and torso, to generate energy and strength for jumping over a log as well as leaping up the 40cm steps without breaking its pace. Computer vision technology locates itself with respect to visible markers on the approach to hit the terrain accurately. Continue reading for another video and more information. “Now that parkour has been added to this list, I hereby propose a free idea that I hope some media conglomerate snatches up: Robot Ninja Warrior. Think of it like a reboot of the DARPA robotics challenge, but with bleachers full of loud fans, lots of flashing lights and loud music, and plenty of #robotfails,” reports The Verge.